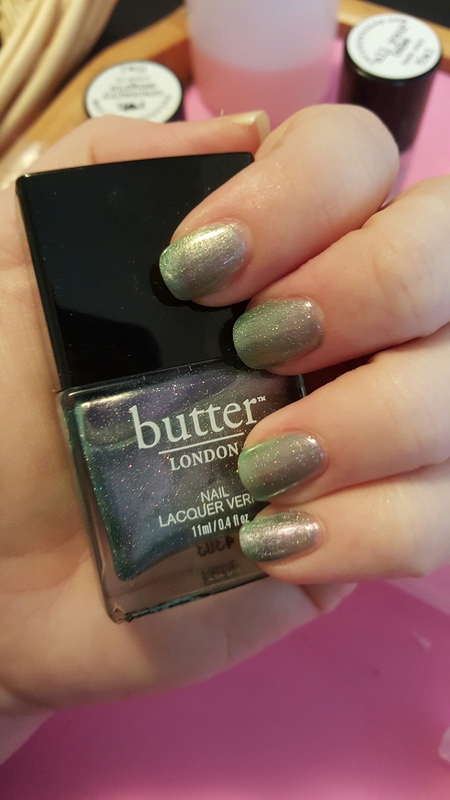 This was my second ever Butter London. I spotted a sale. I fell in love with this color on the website. I practically cooed over it in the bottle when it arrived. And was immediately dejected the second I tried to apply it. It was thick and patchy simultaneously. It didn’t build on itself. I really could have used a 4th coat. It chipped the second it was dry. Skip this and spring for one of the lovely indies out there. 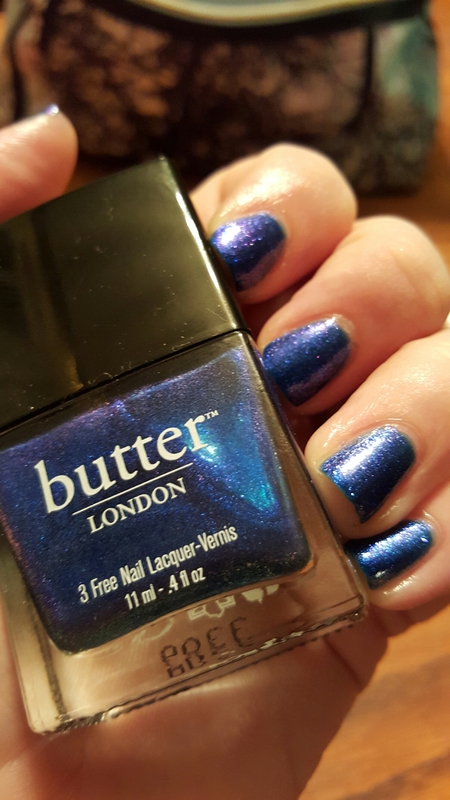 This entry was posted in Nail Polish Collection and tagged blue, butter london, glitter, nail polish, swatch, swatches on March 8, 2016 by Mel. Goss is a lovely metallic copper one-coat polish. It’s worth the price if you’re a brand collector, however Essie’s Penny Talk is a very close dupe in formula and shade at a much lower price. 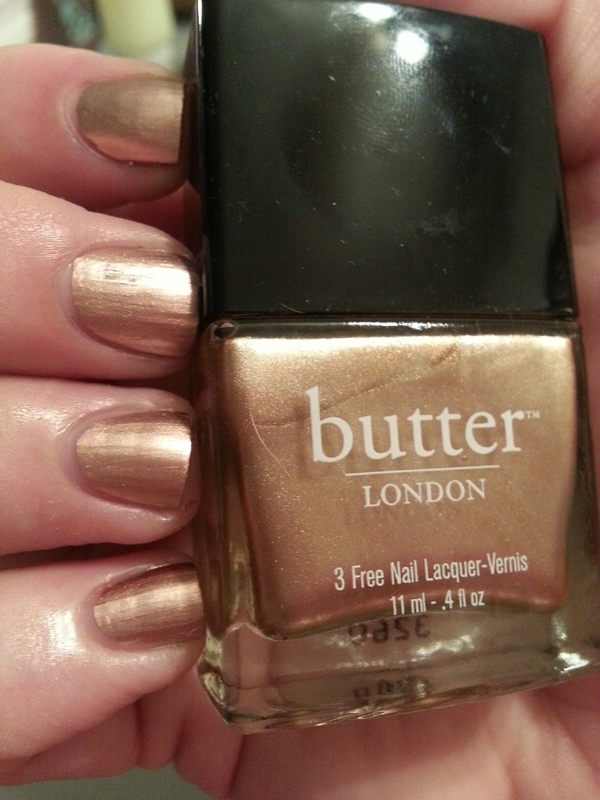 This entry was posted in Nail Polish Collection and tagged butter london, copper, metallic, nail polish, swatch, swatches on November 5, 2015 by Mel.